The people of the state of Utah have always been enthusiastic and generous supporters of the arts. Creative expression is alive and well along the Wasatch Front and on any given day there are numerous entertaining and enlightening performances, exhibits and events from which to choose. Within one year of arriving in the Salt Lake Valley, the Utah pioneers had constructed a social hall where dances and concerts provided entertainment for the community. Today the tradition continues with the 2,800-seat Abravanel Hall/Art Center Complex and the elegant 2,000-seat Capitol Theatre; both are spectacular venues for showcasing Utah's performing arts. The world-class Utah Symphony orchestra has focused the eyes of the world on Utah. The Gina Bachauer International Piano Foundation, headquartered in Salt Lake, hosts one of the most prestigious piano competitions in the country. The world-famous Mormon Tabernacle Choir performs in the Tabernacle on Temple Square each week. The Utah Opera Company enhances the area's cultural mix. Since 1978, Utah Opera has stirred the emotions of a growing audience, performing annually for more than 130,000 people in Utah and five neighboring states. Dance is moving in many forms in Salt Lake. Ballet West is one of the six largest ballet companies in the country and attracts professional dancers from around the world. The Ririe-Woodbury Dance Company and The Repertory Dance Theatre (RDT) are premiere modern dance companies based in Salt Lake City. The Children's Dance Theatre, the second oldest performing arts organization in Utah, is designed for young dancers. It is housed at the Virginia Tanner Creative Dance Studio on the University of Utah campus. Live, professional theater companies present the at the Salt Lake Acting Company and the University of Utah's Pioneer Memorial Theatre and plays by numerous other local acting groups are a year-round treat for theatre lovers. Add to that local foundation of great theatre the many Broadway touring companies who make Salt Lake City a stop in their travels. Ever since the Anasazi and Fremont Indians inscribed their history on rock walls in southern Utah, the state has offered a place where the work of visual artists can flourish. Salt Lake City is home to the Intermountain West's only collection of world art, which is found at the Utah Museum of Fine Arts on the University of Utah campus. In addition, there are more than 25 art galleries and museums throughout the valley that show an eclectic array of early and contemporary work by local, regional and international artists. 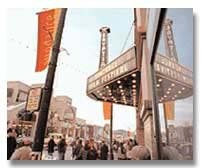 Unique festivals and celebrations take place in Utah throughout the year.Robert Redford's Sundance Film Festival is staged each January in Park City. The festival is America's premiere showcase for the best independently produced documentary and dramatic films and is attended by over 20,000 people from around the world. The annual Utah Arts Festival, held in downtown Salt Lake in late June, celebrates the visual and performing arts, crafts, demonstrations and children's art projects. The Park City Art Festival, held the first weekend in August, is a two-day visual arts exhibition staged on the streets of the historic mining town. About 200 artists from throughout the West exhibit their work for more than 100,000 attendees. Multicultural community produces events like the Greek Festival, the Japanese Obon Festival, Snowbird's Oktoberfest and others draw record crowds every year. The Tony Award-winning Utah Shakespearean Festival in Cedar City is recognized as one of the finest in the country. 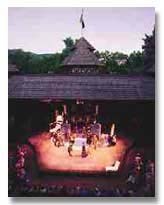 In 1999, the festival completed its 38th season; the festival runs each July through September in an authentic Shakespearean theater. The Festival of the American West relives the cultural history of the American West. The festival takes place on the Utah State University campus in Logan in late July/early August. The Southern Utah Folklife Festival occurs in September at the entrance to the magnificent Zion National Park. Salt Lake City has plenty of fast action to offer professional sports fans. The NBA's Utah Jazz and the University of Utah men's basketball team, have both received national acclaim: the U of U for it's second place finish in the 1998 NCAA national championships and the Utah Jazz for bringing Western Conference championship status to the franchise. During the 1997-98 season, the Utah Jazz went to the NBA Finals for the second time in two years. The Delta Center, home to the Utah Jazz, as well as the Utah Starzz WNBA basketball franchise, seats nearly 20,000 spectators. The Utah Grizzlies Hockey Club, three time winners of The Turner Cup, skates on the ice at the state-of-the-art E Center located in West Valley City. In the summer, the Salt Lake Stingers, our Triple-A baseball franchise, play ball at Franklin Quest Field. Cited by Sports Illustrated as one of the most beautiful ball parks in the country (could have something to do with the mountain views! ), the 12,000-seat ballpark is located just blocks from downtown Salt Lake City. The newest teams to arrive on Salt Lake's sports scene is the REAL Salt Lake major league professional soccer team. Collegiate football action is hot during the fall season when teams from Brigham Young University, University of Utah and Utah State University play for die-hard Utah fans. The expansion of the Rice-Eccles Stadium at the University of Utah was completed in September 1998 and served as the site for the opening and closing ceremonies for the 2002 Olympic Winter Games. Salt Lake City is exploding with excellent restaurants. You can sample falafel from the Middle East, momo from Tibet, tapas from Spain and good food from new Italian, Asian and other ethnic restaurants. From continental fare to Tuscan dining, to melt in your mouth steaks - Utah restaurants rate high nationally. The brew pub brouhaha has roared into Salt Lake and created an entirely new dining and evening-out experience. Creative cafes and restaurants offer exciting dining, fresh ingredients and professional service. For those with a sweet tooth Utah at the lead in this country's in per capita consumption of confections and ice cream Utah clubs range from the outrageous to the sedate, whether it's head-banging modern music or just quiet jazz. Utah's liquor laws are unique but, when it comes to restaurants, the system is simple. Alcoholic beverages may be ordered with a meal in most restaurants after 12:00 p.m. (noon). Just ask your server. Mixed drinks are served at Utah's non-exclusive private clubs throughout the day. Visitors are welcome to purchase a two-week membership to most private clubs for $5. Taverns and lounges sell beer only. State-owned liquor stores sell packaged liquors and wines in various sizes. Specialized wine stores provide a wide selection of wines from around the world. State Liquor Stores accept cash, check, or credit card, and are closed on Sundays and holidays. Beer containing 3.2% alcohol content may be purchased in grocery and convenience stores. The legal age to purchase alcohol in Utah is 21 years old. Salt Lake sites located close-by include historic Temple Square, the Utah State Capitol, the Great Salt Lake, Kennecott Bingham Copper Mine, Hogle Zoo, Hansen Planetarium, the Children's Museum of Utah, Lagoon Amusement Park and This is the Place Heritage Park. In addition, Trolley Square and Gardner Village offer unique shopping experiences or try ice skating downtown at the Gallivan Center. An exciting new attraction that is continuing to grow and expand is Thanksgiving Point. It is a true family oriented destination which offers scenic gardens, educational facilities, quality restaurants, a world class golf course and other activities.